We, the undersigned, agree that all Manitobans benefit as owners of a responsible public liquor sales and distribution model. The current system offers Manitobans a healthy balance of great customer service, safer communities, social responsibility, investment in public services and quality jobs. Calls to privatize the sale of beverage liquor will upset this balance and put these benefits at risk. Therefore we, the undersigned, oppose further privatization of our public liquor sales and distribution model and encourage others to act to protect this Manitoba asset. “It is my perspective, coming from working in the addictions field for many years at a leadership and policy level, that the sale and distribution of liquor must remain public. Maintaining public ownership allows for responsible messaging, responsible marketing strategies and the ability to direct a substantial portion of the profits from sales to address the harms associated with the sale and use of liquor. “Most research shows that increased access and reduced control leads to the increase of problems related to the use of alcohol as well as increased access to alcohol by minors. “Too often paramedics bear witness to preventable tragedies and emergencies as part of our work. Motor vehicle collisions and other accidents resulting from impairment are frequent calls we attend to. The Paramedic Association of Manitoba is concerned that further privatization of liquor sales and distribution could result in an increased number of these incidents. “Canada’s National Alcohol Strategy Working Group recommends provincial governments ‘Maintain current systems of control over alcohol sales’ as an effective means to manage alcohol-related harm. Excess alcohol consumption can cause serious health problems and impairments. In his latest report on the state of public health, Canada’s Chief Public Health Officer, Dr. Gregory Taylor, suggests that at least three million drinking Canadians risk acute illness, while four and a half million face the very real possibility of developing chronic medical conditions such as cardiovascular disease, liver disease and cancer. “There are more than 855 good quality jobs at stake for workers employed at Manitoba Liquor Marts. Under a private system, those jobs will go from being good jobs that a family can build a future on and be turned into minimum wage jobs. Many of those workers have been with the Liquor Marts for more than 20 years. “Calls to privatize the sale of beverage liquor are short-sighted and a move backwards for the province of Manitoba. “As a national union, we know the effects that privatization has on communities across Canada. Privatization means higher costs, service cuts, and no accountability. “A private system could affect Manitoba’s economy greatly if we lose millions of dollars in revenues which fund crucial services like health care, education and other services such as addiction programs. “The Manitoba Nurses Union (MNU) supports Liquor Marts and Manitoba's balanced model of public liquor sales and distribution. “We know most Manitobans can enjoy a drink sociably without problems, but if used improperly, alcohol is a factor in many injuries, suicides and homicides, is linked with dozens of significant medical conditions and impairments, and can cause death. For this and other reasons, we believe the sale of alcohol should be regulated and controlled differently than other products to ensure strong socially responsible safeguards are upheld. 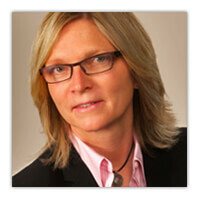 “Keeping liquor sales public will ensure all Manitobans benefit from liquor revenues, and social priorities. Manitoba Liquor and Lotteries recognizes the importance of sponsorships in the community and invests heavily in community events such as Folklorama, Festival du Voyager and Special Olympics. “As a Crown Corporation, MBLL dedicates funds to educating the public about responsible gaming and drinking, and supports community organizations that help those in need. “Manitoba’s Government-run stores currently act as a one-stop shop. We feel they are more convenient than ever with the many modernized changes over the last few years. We don’t feel like our public system is broken, so why is there a need to change anything? “Our thousands of members, which include health care professionals in emergency medical services, hospitals, clinics and laboratories, witness firsthand the devastation caused by alcohol abuse – physically, socially and emotionally. “Keeping liquor sales public and regulated will allow Manitoba to re-invest the profits into health care, addictions and social programs. In a private system, these profits are not likely to be used this way and could, in fact, double the impact on our public health care system, making it a bigger financial burden. “According to statistics compiled by the Canadian chapter of Mothers Against Drunk Driving, in 2010, it was estimated that about 299,838 individuals were injured in motor vehicle crashes. MADD Canada estimated that approximately 63,821 of these individuals were injured in impairment-related crashes (roughly 175 per day). And this figure is limited to motor vehicle crashes only. Keeping Liquor Public is a coalition of Manitoba organizations working for public safety, strong communities and quality public services. Here’s our founding statement. “Privatization means higher costs, service cuts, and no accountability. “Motor vehicle collisions and other accidents resulting from impairment are frequent calls we attend to. 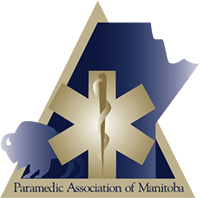 The Paramedic Association of Manitoba is concerned that further privatization of liquor sales and distribution could result in an increased number of these incidents. “Today, Manitoba faces an array of complications which threaten the social and economic health of our community, such as unemployment and under-employment. The Social Planning Council of Winnipeg supports a public liquor system. “The current system is serving Manitobans well; it offers a healthy balance of great customer service, safer communities, social responsibility and good quality jobs. 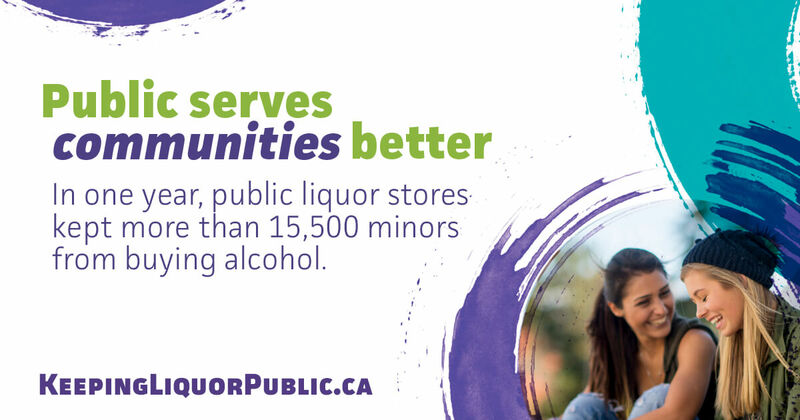 With 90%+ customer satisfaction, it’s clear: keeping liquor public works for Manitoba! The purpose of this Part is to establish, in an era in which technology increasingly facilitates the circulation and exchange of information, rules to govern the collection, use, and disclosure of personal information in a manner that recognizes the right of privacy of individuals with respect to their personal information and the need of organizations to collect, use or disclose personal information for purposes that a reasonable person would consider appropriate in the circumstances. The Manitoba Government and General Employees’ Union (MGEU) is committed to protecting the privacy of individuals in the collection, use and distribution of personal information. This Policy outlines how and why we collect personal information and the way in which it is used. MGEU collects, uses and discloses personal information to promote the value of public services to Manitobans, and to facilitate your participation in that promotion, should you choose. allow you to share your support for public services with your followers on social networks and with your MLA; and comply with the law. Personal information may be collected, used or disclosed for any of these “Identified Purposes” set out above. If your personal information is not needed for one of the Identified Purposes, we will not disclose it without obtaining additional consent from you. 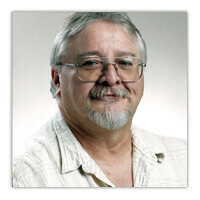 your use of this website’s social sharing and other communication tools. If the personal information is publicly available (for example, in a phone book). If knowledge and consent will compromise the availability and accuracy of the personal information and it is necessary to investigate a breach of an agreement or contravention of a law (for example, in a fraud investigation, an investigation by the police, or in situations otherwise permitted by the law). There may be certain cases where your consent will be explicit, for example by submitting your story through our website’s form, and checking the box giving us permission to publish your story. If any of the personal information that we collect is sensitive, such as health information, we will obtain additional written or oral consent from you before collecting, using or disclosing the information. MGEU does not disclose sensitive information for a new purpose beyond that to which you have consented. You may withdraw your consent at any time upon reasonable notice, subject to legal or contractual restrictions. Should you wish to withdraw your consent, please contact our Privacy Officer. Depending upon the nature of your personal information, MGEU may retain it for an indefinite period of time. Once MGEU determines that the information is no longer required, it will be destroyed or personal identifiers will be removed. MGEU ensures that all files are stored in cabinets or offices that are not accessible to members or local officers who are at the office. In addition, pass cards are required to gain access to the internal office past the reception area. In order to protect your electronic personal information, a login and password is required to access this information. Electronic personal information is protected through the use of firewalls to prevent third party access. MGEU shall take care when storing or destroying your personal information in order to prevent unauthorized access, or disclosure. A member may access their personal information by contacting the Privacy Officer in writing. The Privacy Officer will provide access to the worker’s personal information within 30 days. There may be a nominal cost for access, plus a reasonable photocopying or postal charge imposed. Could harm the union’s competitive position. If information is inaccurate or incomplete, you have the right to have MGEU amend the information. If MGEU refuses to amend the information as requested, you may attach a notation to their file. MGEU does not sell personal information to third parties. If you have a complaint related to this Policy or any of our procedures, please contact our Privacy Officer. If your complaint is justified, we will take the steps necessary to resolve the issue, including amending our Policy and practices, if necessary. If we are unable to resolve your concern, you may contact the Office of the Privacy Commissioner of Canada, or if applicable, the provincial Privacy Commissioner. If you have any questions about this policy, you can direct your inquiries to our Privacy Officer at the telephone, e-mail address, or mailing address listed below. For more information, to file a complaint, to make enquiries, or to opt out of all or parts of this Policy, please contact MGEU’s Privacy Officer. This Policy may be updated from time to time as policies, procedures or technologies change.